Currently 8 trains each way per day, biased towards peak services to / from London with 4 hour gaps. 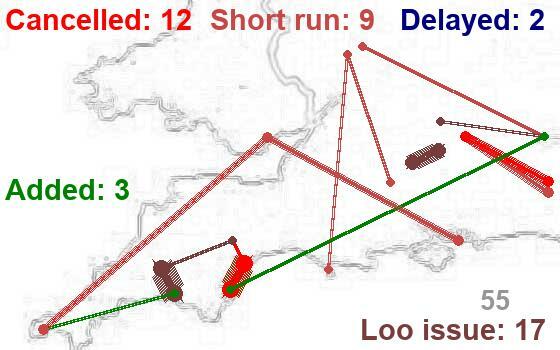 Very varied stopping pattern - only fixed element is that all trains go to or come from Reading and Paddington, making other trips hit and miss. 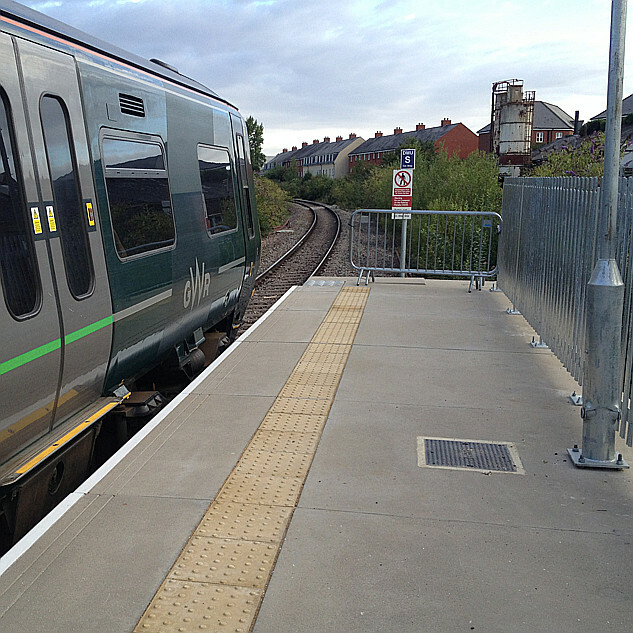 From December 2019, becomes 2 hour frequency with much more regular stopping pattern - Newbury, Westbury, Taunton, Exeter now regular. Peak hour extras retained. Commute options to Trowbridge / Bath / Bristol remain poor. Consideration / discussion for longer term of extending Paddington - Bedwyn hourly services westward, perhaps replacing the December 2019 service. Slowing for (?) 4 extra calls but now practical with automatic doors and faster acceleration of the new trains. Note - peak trains already make these calls. Audience reaction ... from a member from Pewsey - a feeling that everyone needs to get joined up and that after the formation of the rail user group they now need to find their feet and might appreciate rail expertise. Devizes, population 32,000 is less than 3 miles from the railway - but in the middle of a 22 mile gap between stations. A Park and Ride station on the A342 to the south east of the town has been mooted and appears practical - and is on the London side of Devizes so would psychologically fit with where the "movers and shakers" want to go. 2 hourly services with extra London peaks would be the natural and available service. Note the possibility of increasing that to hourly but 15 minutes slower in the future. A Devizes Parkway station would lead to some abstraction of passengers who currently use Pewsey. See Pewsey and Devizes Parkway discussions. Extend the hourly Paddington to Bedwyn service to Exeter, in place of the two hourly Paddington to Exeter semi-fast. That would mean 4 or 5 more stops on daytime trains from London to Westbury (adding around 15 minutes) but would double their frequency. Early morning trains to London and afternoon peak trains from London already make these extra stops. From December 2019, the 4 hour gap in the semi-fasts is already filled. The suggestion would give an hourly service all day and make the trains much more practical for journeys such as Bedwyn and Pewsey to Trowbridge and Bath. The trade off between speed and frequency becomes a sensible one with the new trains, which need shorter stops at stations (due to automatic doors) and accelerate faster from stops.